The system uses an ARM Cortex M4 processor to deliver an low cost and power efficient system. Our customer had a basic proof of concept prototype system for the reduction of pollutants generated by automotive internal combustion engines. Beam re-engineered the electronics system developing a sophisticated, but low cost, controller to match the existing case design and a remote RF user interface unit. The controller unit designed to be mounted in the engine bay of a vehicle, can be controlled and display status information both via Wifi to a mobile phone and via an 868MHz RF link to a simple fob unit located inside the vehicle viewable by the driver. The unit was designed to comply with automotive standards and was tested against these. The unit's processor is an ARM based Cortex-4 STM32F4 and supports a web browser accessed interface together with a JSON application interface for custom mobile apps. As part of our internal R&D program we have developed hardware boards and software tools to allow us to get the most out of the new 32 bit ARM Cortex processors. This has resulted in the set of ArmMod boards that enable easy prototyping of systems and the Armsys software development platform that provide a powerful C++ RTOS based design environment for real-time software on these systems. Using our extensive instrumentation research and development abilities we have developed innovative cable monitoring techniques to measure insulation resistance and capacitance with high accuracy on live operating cable systems that can have a large intrinsic capacitance. From this research and development we have developed systems employing Linux based control nodes along with lower power Cortex M4 boards performing digital signal processing (DSP) to measure these low level insulation monitoring currents in high levels of noise on high voltage systems. Touch screen controled industrial measurement instruments based on this technology are now being employed. 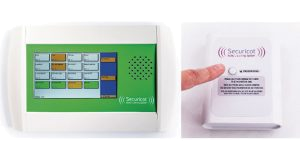 This project was carried out with Dectel and involved the design and development of a Hotel baby monitoring system that would operate reliably over the old existing telephone lines to each bedroom. The system employs ARM Cortex M4 and Cortex M0 processors to deliver an low cost and efficient system. A simple 7" touch screen interface is employed for operator control. The system has the capability for Ethernet and WiFi interfaces as well as telephone line operation. This project design and developed a FPGA based system to process radio signals is a small 1U rack mounted case. 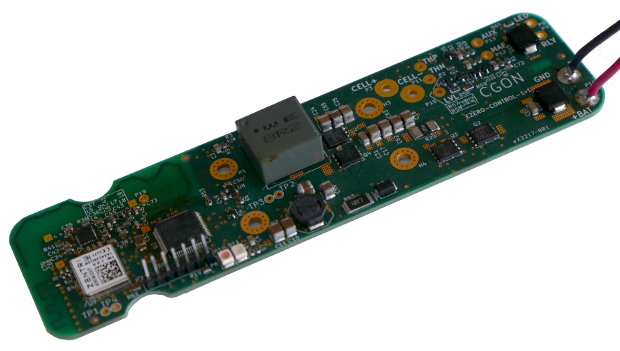 We design and produced the 16 layer PCB that utilises a XilinxVirtex-6 FPFA to process the radio signals in real-time. 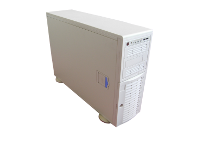 The board utilises a dual core PowerPC processor running Linux to provide a network appliance system. The system has 4 Gigabit Ethernet interfaces along with a fibre interface per board. 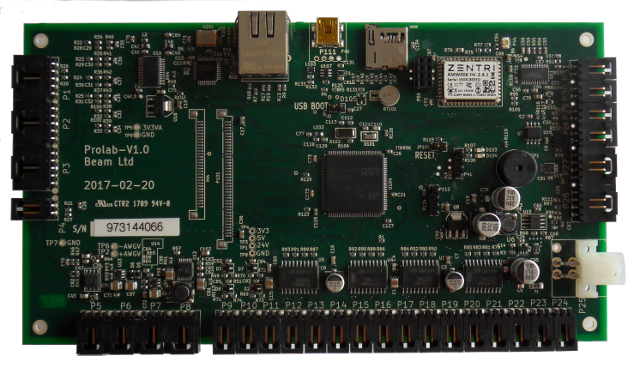 The FPGA design was developed in VHDL and the Linux OS ported to the system along with the development of management software. The unit was design for low power operation. It consumes 1/10 of the power of the PC based unit it replaces. This project was carried out in partnership with CERN and Alpha Data Ltd and involved the design, construction, commissioning, support and maintenance of a new trajectory measurement system for the CERN Proton Synchrotron. The FPGA based system has 120 analogue signal acquisition channels sampled by a set of synchronised high performance ADC's. The resulting data is fed into a powerfull FPGA based digital signal processing chip to derive the positions of the particle bunches undergoing acceleration in the CERN synchrotron. The system continuously samples 120 Analogue channels sampled at 125MHz, 14 bits and processes this data in real-time to determine information on the position of particle bunches as they orbit at around 437kHz. Overal the system captures and processes 15 billion samples per second. the multiple Xilinx Vertex FPGA's are employed in a modular system to capture and process the data. The system is controlled over a Gigabit Ethernet network from which portions of the resulting data can be accessed. Blacknest is an organisation that collects and and analyses Terabytes of seismic sensor data. This data is collected from a variety of locations and in differing formats. Beam have developed a solution for the data ingest, storage and subsequent user access of this data. The system supports web and email access to the data. A documented API enables Blacknest scientists to develop customised applications. 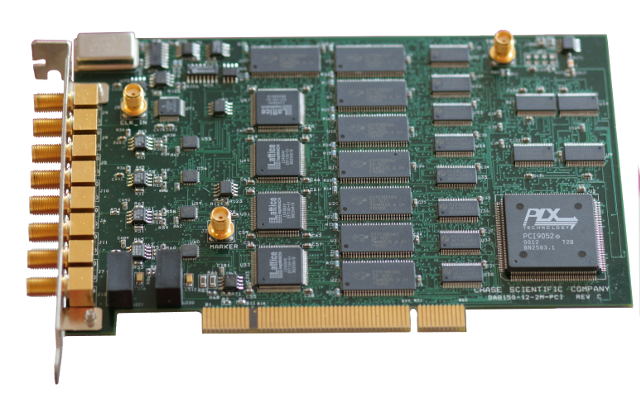 Developed for a specific medical application of remote data and Video viewing, this project involved the development of a special purpose packet switched backplane system based on Gigabit Ethernet. 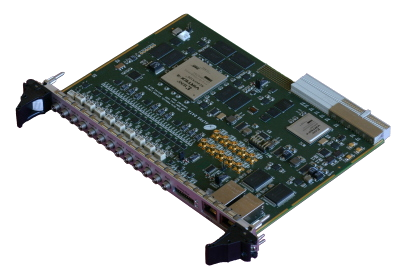 We developed a cost sensitive Ethernet based backplane system, a Gigabit switch card together with ancillary cards for the mounting of a custom video compression card and redundant power supplies. Three and five slot variants of the backplane were produced. Our customer had approximately 7000 degrading 24 track 1" data tapes containing valuble historic seismic data. We developed a system to extract and save the data from these tapes. This Linux based system uses Digital Acquisition (DAQ) cards with the open source COMEDI DAQ interface to capture and process in real time the analogue data from the 24 analogue tape tracks. FM decoding of the tracks is perfomed in real-time using FIR and IIR filters together with a Hilbert transform based FM Demodulator. The resulting digitised seismic data is stored on disk and can be written to DVD. The whole system is controlled with an easy to use GUI interface. In addition to the software design and development we designed and produced the analogue, front-end, tape head amplifiers and anti-aliasing filters for the system. Beam have developed a number of Linux Devices Drivers. Details can be found on our Open Source Drivers page. The WrpServer system was designed to record and allow the playback of Wideband Radio IF signal channels obtained from a set of DdcServers. The WrpServer employs a set of Giga-bit Ethernet ports and an array of SCSI disks in a RAID configuration in order to record the Wideband IF signal channels in real-time. The overall maximum data rate processed by the system is about 48 MBytes per second when recording 8 Wideband IF channels. 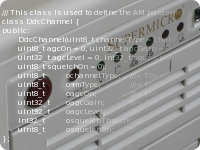 The DdcServer is a part of a software radio system developed for Procitec that processes, in real-time, a digital broadband radio IF input signal with a bandwidth of between 200KHz and 2 MHz coming from a RF receiver via a Fibre FPDP interface. 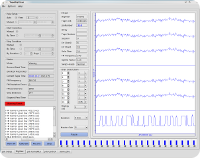 The input signal is transformed into narrow band channels (20 kHz) by digital down converting (DDC) using FPGA technology. Each channel can be used and programmed independently with the possibility of overlapping channels. The result consists of 150 narrow band channels which can accessed by remote systems though a Gigabit Ethernet interface. The overall data rate processed by the system is about 24 MBytes per second. The system was implemented using the Linux OS as a network managed 19inch rack unit. The CacheServer is a Video cache server for use in TV broadcasting environments. Quantel produce a broadcast quality Video processing system called Quentin. This system consists of a number of Video Servers with video and audio clips distributed across them. The servers have the video both at broadcast resolution, 25 Mbit, and at 1.5 Mbit MPEG. In use, for example, in a busy newsroom, a large number of journalists have the ability to view the video data using the Quantel Qview application from Microsoft Windows based Edit workstations: the machines upon which they type their copy, read email and so on. 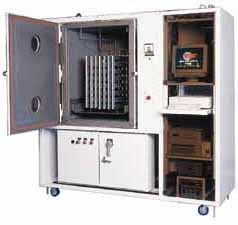 The CacheServer was designed and developed by BEAM to act as a cache for the Video servers video information. It operates as a classic read-only cache of Video Data Thunks (The basic data chunk), accepting requests for Thunks from the multiple journalist's machines, forwarding these requests to the Video servers if it cannot satisfy them itself, and storing them (in RAM and on disk) for future use in a strictly "most recently used" manner. The system was implemented using the Linux OS as a network managed 19inch rack unit. 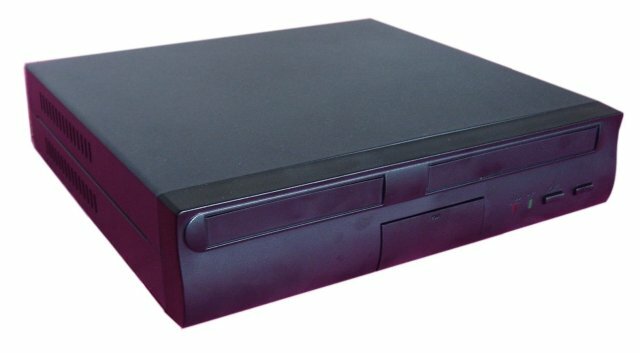 Employing the latest Video compression techniques (H.264 and MPEG4) the Camserve unit is a small, low power, DVR with WiFi and G3 interfaces for use in Covert CCTV applications as well as standard CCTV usage. The AstroFFT Digital Spectrometer System was designed to pick out coherent signals from large levels of noise. One example of use is to survey the Galaxy searching for maser emission from water both in star-forming regions and in the circumstellar envelopes of late-type stars. The system processes, in real time, multiple wide bandwidth (23MHz) analogue signals from a radio telescope. The system employs the Fast Fourier Transform (FFT) to calculate the spectrum of the signals and integrates the power of this spectrum over time. The AstroFFT system consists of a network accessible host containing multiple FFT processing engines. Each processing engine has two, fast, analogue to digital converters connected directly to one of the latest generation of Field Programmable Gate Arrays (FPGA's). The FFT, power and integration calculations are performed by this FPGA. This novel architecture provides the high level of performance required with the flexibility to modify or use different processing algorithms. This was implemented as a Linux based 19inch rack system with GUI for system management. More Information on the AstroFFT system. Developed for a TV equipment company,RMON is a remote monitoring and control system for broadcast video processing and editing systems. Based upon Linux technology and deployed on PC platforms it uses TCP/IP and PPP protocols across point to point modem links, Internet and local Ethernet networks. The system employs an easy to use GUI allowing technicians to access remote logs, control the remote systems and upload new software. The Clipnet system was developed for Quantel. It is a Video clip network access system operating over Gigabit networks. It provides for the fast transfer of Video clips from one system to another as well as providing directory information. The system was written in 'C++' and ported to Linux, WindowsNT and Silicon Graphics IRIX systems. We have extensive experience in cross platform porting. GNU debugger to Embedded Alpha Processor System. Port of telephone interface DSP driver to Unix. Research, Design and Development of Braille/Speech screen reading system for Blind users of Unix X-Window systems. Developed in C++ under the Microsoft Windows operating system this GUI based application encapsulated process knowledge for the control of a plasma processing installation. An analogue force joystick to mouse system mouse protocol converter. Developed for use in research modelling. Embedded single chip microprocessor technology.